Police Scotland and Aberdeenshire Council have today, Tuesday, 4 July, launched a local policing plan for Aberdeenshire for 2017 – 2020. It details the key policing priorities for the next three years to ensure Aberdeenshire remains a safe place to live, work and visit. The priorities have been identified through consultation with a range of key stakeholders and communities themselves. Priorities include tackling antisocial behaviour, violence and disorder, reducing road casualties and preventing acquisitive crime. It also identifies the need to protect communities from serious and organised crime, people from risk of harm and terrorism. The plan was presented to Aberdeenshire Council’s Communities Committee, which has given its support to the delivery of its aims. I am pleased to be launching our policing plan for Aberdeenshire today, following approval at the Communities Committee. This plan highlights our policing priorities over the next three years and where our local officers will build on the strong performance from last year, tackling the local issues that our communities tell us matter to them. Much of our success is due to the support we receive from the community as well as the strong partnership links we have. Working hand-in-hand with our partners to provide a holistic response to issues ensures that Aberdeenshire continues to be one of the safest places in Scotland. We very much welcome the new plan and its clear priorities for Aberdeenshire over the next three years. Aberdeenshire has a mix of rural and urban communities, and as such local demands can vary significantly from area to area. 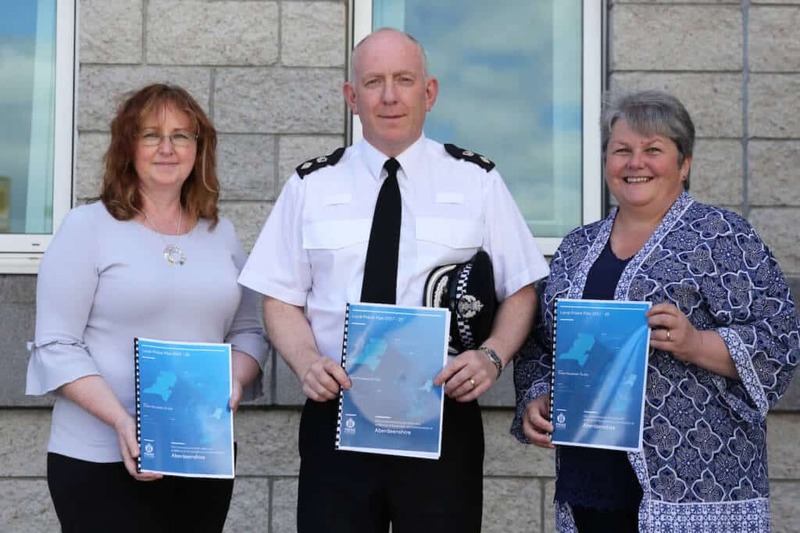 This plan will help us as a council to work closely with our police colleagues to ensure that Aberdeenshire continues to be a safe place to live and work. Police Scotland already has very strong links with our communities, ranging from contributing to community council meetings to discuss local issues, to attending key events to ensure the safety of attendees. The new plan will allow us to continue our joint-working and hopefully a continued trend of falling crime rates and increased detection of crime. You can read the Aberdeenshire Local Policing Plan below.